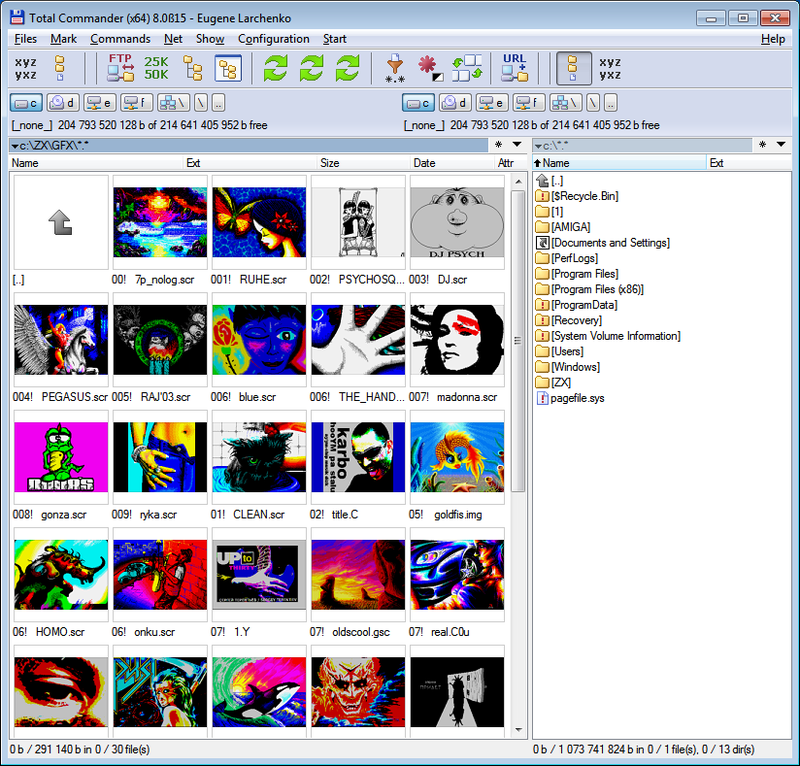 inSCR is a lister-plugin for Total Commander for viewing ZX Spectrum picture files. 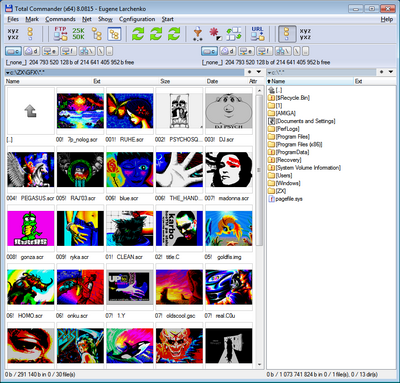 Version 4.0 (25.12.2014) - 48K/128K Snapshot (.sna) format support; - Timex Multicolor format support; - Option to ignore lister's Fit-to-window setting; - Added support for "Fit to window - larger only" view mode; - Fixed: in some cases border color was incorrect (could happen if border color has been configured to be of a palette color); - Some fixes in automatic border color detection function; - Fixed: swapped Num+ / Num– hotkeys; - Default flash rate changed to 320 ms, which is closer to real ZX Spectrum; - Fixed: in some cases an error message appeared on window closing; - Fixed: didn't work under Windows 2000; - Fixed: didn't work on old (Pentium III-level) CPU's. Version 3.0 (07.01.2012) - Multitech/MB02+ picture format supported; - Thumbnails view supported; - Automatic border color finetuned a bit; - Black-and-white palette added to default configuration file; - When zoom is changed, Fit-To-Window automatically switches off; - Some improvements and bugfixes.